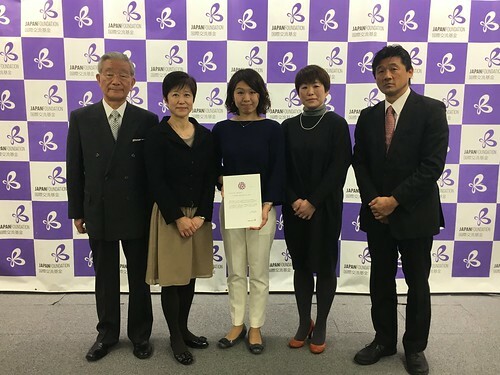 Founder Megumi Kusunoki and two of our amazing Nagomi Visit hosts spoke at a press conference where they announced Nagomi Visit will be receiving The Japan Foundation Prizes for Global Citizenship for 2017. Yesterday marked 5 amazing years since we registered as a nonprofit organization on January 23rd, 2013. We are still a small three person team running the whole organization but with many more hosts and guests thanks to all of you. So what is this award? The Japan Foundation is a cultural institution that aims to promote cultural exchange, originally founded by the Government of Japan. 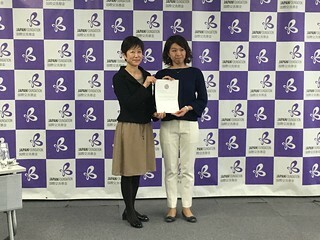 "The Japan Foundation Prizes for Global Citizenship is intended to support organizations based in Japan that endeavor to strengthen networks among citizens both inside and outside Japan, and share the knowledge, idea and expertise through Intercultural Exchange." The awards ceremony will be at the end of February 2018 so we look forward to sharing our experiences soon. In the meantime we would like to say arigato to all of you who led us through this incredible journey.